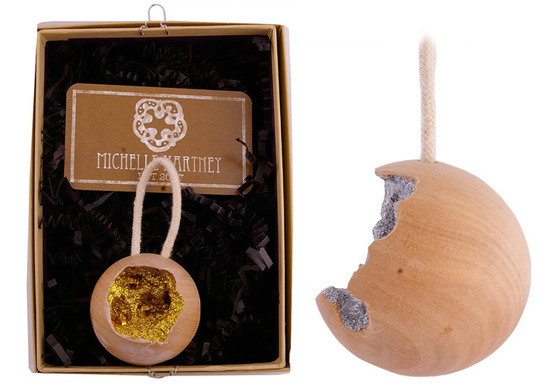 The most recent addition to my Christmas wish list is this sparkly orb in gold! 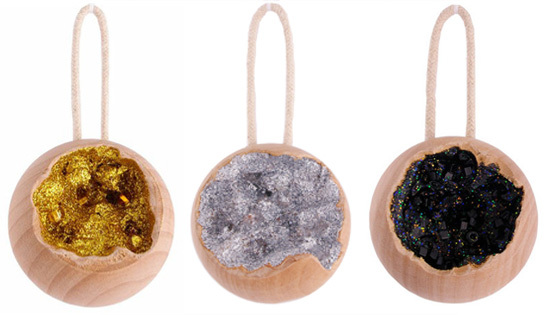 The ash wood knob is hallowed out then filled with either gold, silver, or black glitter. I love the combination of the natural wood element with the glam metallic sparkles, and each one is individually made, so no two are exactly alike. While I would obviously hang it from my Christmas tree during the holidays, I'd find a place to keep this sparkly friend up year-round! Yeap. Great find! Love the sparkling soul hidden under a rough natural material! Those are beautiful! I love the juxtaposition of the two elements. These are so different! I have not seen anything like them! This is so fun for a little something different on your tree! these are so interesting and gorgeous! great find!